Rusty Pouring Bowls by Aqua Creations is a stunning water feature with an old tradition look. This striking feature will be the main focal point in any given space, whether it is indoor or outdoor as this feature is fully self contained and a manageable light weight for easy transportation. The water bubbles at the top of the first bowl and then pours down into each bowl to give it that soothing and relaxing sound. 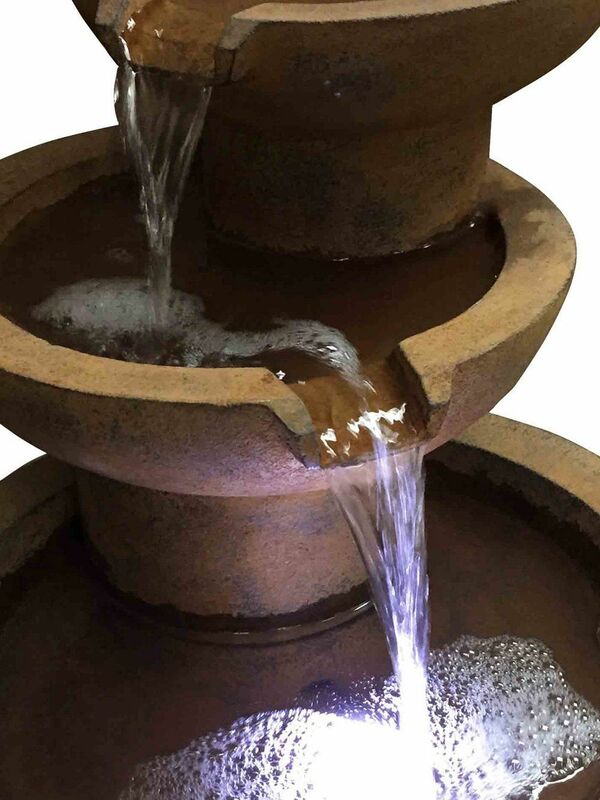 To give the feature that extra wow factor it is also supplied with 1 x Cluster LED light which sits in the bottom bowl to help light up the bubbling water and feature.